We call Waterdown home and provide animal removal and pest control services right here in our home town. That means we cover the area fast and know the specific pest control needs of the community. 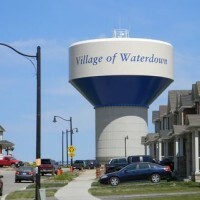 Waterdown has been part of Hamilton since 2001 and in the last 10 years, the population has exploded by approximately 30%. Waterdown's fast residential development means rural land has been displaced - the natural habitat of wildlife that is causing nuisance problems for new residents. New areas cause animal and pest displacement, which causes wildlife to look for new homes to nest. Of course, in mature areas of the Town wildlife has been an existing nuisance issue. Whether in the core or in and around farm homes, there is greenspace and/or mature tree canopies. Proximity to the Niagara Escarpment also provides a rich habitat for wildlife and pests. We can't get rid of wildlife altogether, however, we do want our homes to be free from unwelcome nuisance guests - in our walls or attic. Raccoons, squirrels, and bats all seek out warm attics to nest and seek shelter, particularly in winter months and during their respective baby seasons. Summer brings wasp issues and rodents and ants can be a year round pest issue. We take care of all nuisance pest issues and guarantee our work! Whether it is animals such as raccoons, bats, squirrels or mice in your home - call us first. We're your local and best choice - with budget pricing - so call the certified exterminator and experienced wildlife control experts.